한국어: 2018년 북미정상회담(싱가포르 회담) 자리에서 김정은 국무위원장(왼쪽)과 도널드 트럼프 대통령(오른쪽)이 악수를 하고 있다. 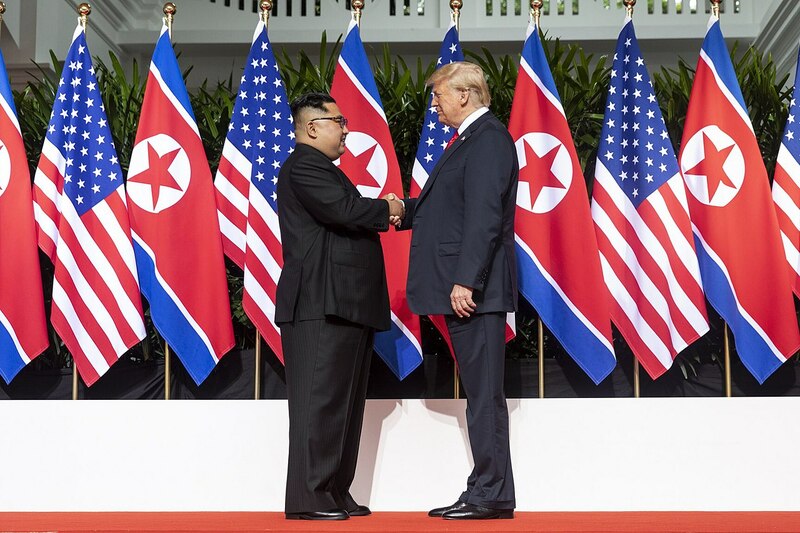 This file has an extracted image: File:Kim and Trump shaking hands at the red carpet during the DPRK–USA Singapore Summit (cropped).jpg. This image is a work of an employee of the Executive Office of the President of the United States, taken or made as part of that person's official duties. As a work of the U.S. federal government, the image is in the public domain.